Summer is in full swing! We’ve had our July Halton REI meeting and we are taking the month of August off, but don’t worry! There will be a tour mid August for investment opportunities in St. Catharines. 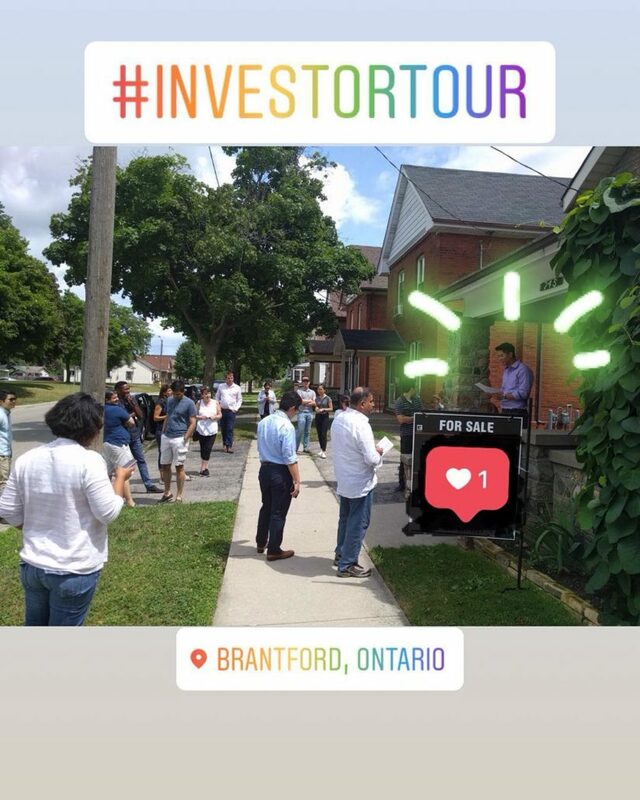 This past Saturday, our Street Smart Tour brought us to a city truly open for business in Brantford, Ontario with my team, the Team Titans, and our friend Paisley Mackenzie, former Economic Development Office of Brantford. Paisley has nearly 30 years experience working around investments and Brantford so it was a special treat to have her along. Brantford is an underrated market, as many regular Brantford investors know who are enjoying the returns in a market that is flying under the radar. Brantford is situated between Hamilton and Cambridge, Ontario and there are not many hotter markets than these two for those who care about the ripple affect. What many do not know, is how good the Planning Department is. They are consistent in following Ontario Building Code and, sadly, not all cities can say the same. Days on market are some of the best I’ve seen in years, as this is summer when prices typically retreat, and we toured two pretty sweet properties that have been on market for around 60 days at prices mid 300 to low 400,000. Terrific affordability when compared to the neighbouring KWC and Hamilton markets. Today’s Ben Oosterveld is crazy successful. Dad to four kids, happily married, booming business, he earned over $800,000 in 2017, in one 14 month stretch he acquired 41 properties. By all definitions, Ben is killing it, but he wasn’t always successful. Ben, a preacher’s son, ran away from home at 12, abused drugs and alcohol until the age of 20, crawled home to his parents, checked into a 12 month rehabilitation program and turned his life around. Ben talks about learning lessons on raising a challenging child such as himself, owning investments with other people’s money during the crash, being bullied by an investment partner, and what he would do differently with his investments if he could do it all over again. This is the first time Ben has publicly shared his challenges as an investor.